Something a little new this time, I’m just sharing an article. Darrell Hillier is a name familiar to any regular readers, especially if you read through my sources. He is often listed as a source, and has been a great help throughout all of my research. Darrell’s MA thesis has just been published through Memorial University, and I wanted to share it here with everyone. It is well worth the read and looks at the history and crash of USAAF B-24 Liberator No. 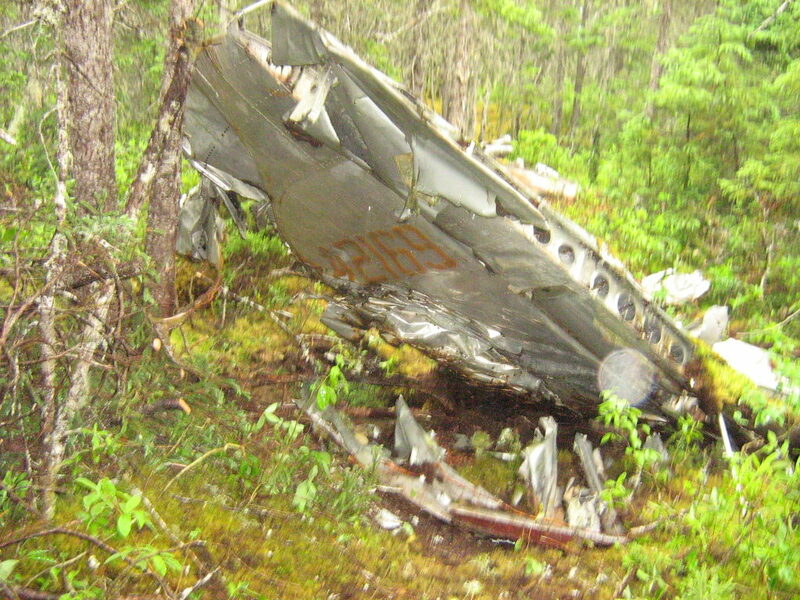 44-42169 which crashed near Gander on 14 February 1945 killing all 10 servicemen on board. But his thesis doesn’t just look at the crash. He has done extensive research, talking to family members and reading correspondences to look at the impact of this incident on the home front; how the families were notified, their questions, and how they lived with their loved ones first being declared MIA, then dead. I had the privilege to read a draft of the thesis a while ago, and have been waiting anxiously for it to be published so I could share it here. I haven’t written about this crash on my blog for a number of reasons, but it is the first crash site that I visited and it is the site that really woke up this passion for aviation archaeology. I made no secret that I am not an expert in aircraft, but do try to surround myself with people who continuously educate me on the finer points or who point my research in the right direction. The tail fin from USAAF Liberator 44-42169. Photo by Lisa M. Daly 2007. You can find Darrell Hillier’s thesis, Stars, Stripes, and Sacrifice: A Wartime Familiar Experience of Hope, Loss, and Grief, and the Journey Home of an American Bomber Crew on the Memorial University Research Repository. 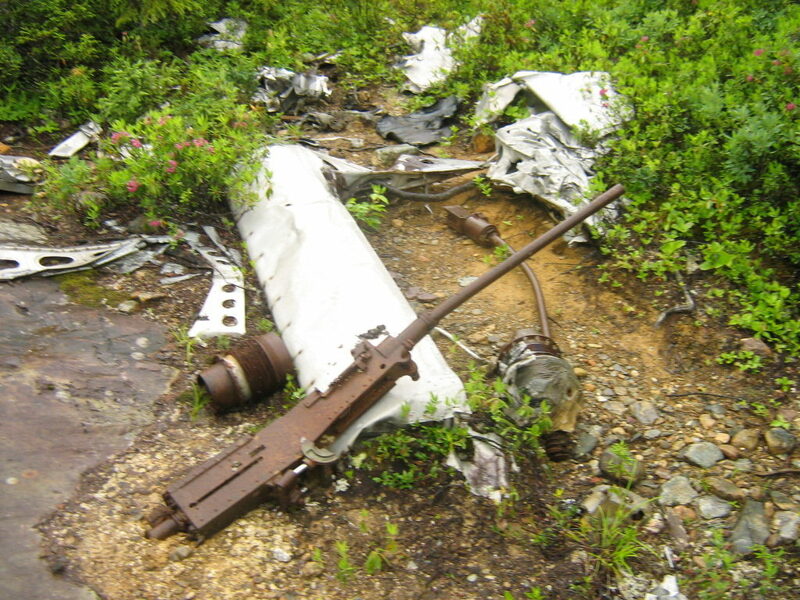 A machine gun and other wreckage from USAAF Liberator 44-42169. Photo by Lisa M. Daly 2007. As for myself, I am still getting settled into a new job, and it looks like my things (including any research documents I own) will not be delivered for a couple of months. That said, I have been working on some articles, and you can find one about the mock dogfight that happened over Gander that lead to the collision of a B-25 and an A-20 in their January/February 2018 edition of In Formation. 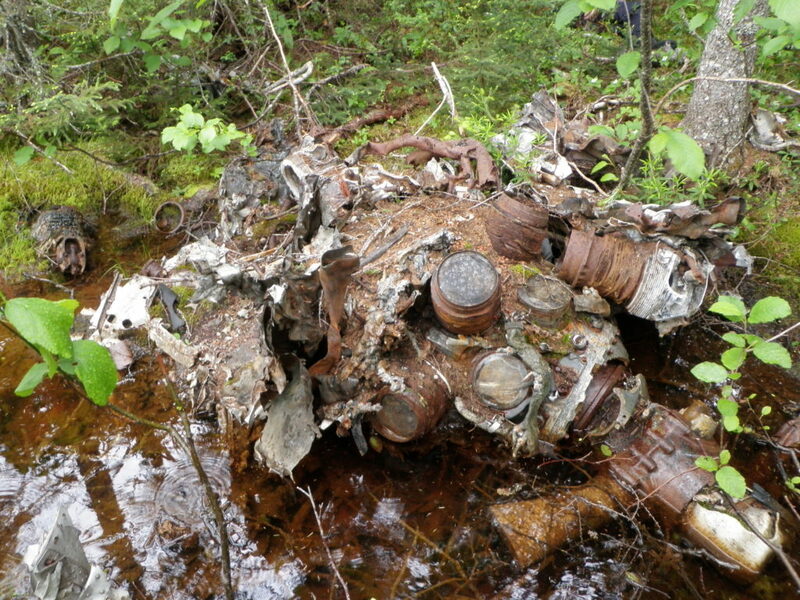 The engine from the USAAF A-20 involved in the 27 October 1943 crash. Photo by Lisa M. Daly 2011. I do hope to be better settled soon so that I can get back to semi-regular posts.